Deputy Director Edwards receives Honorary Doctorate. Hooray for Sandy Edwards! When a group of us buddies ventured to Bentonville and Crystal Bridges Sandy was the major reason our trip was a resounding success (see quote below about her connections to bring increased tourism to the area…we are benefactors of this). And now it’s encore time for a huge shout out to the lady that made it all so very special. eiser Edwards continues to be a guiding force in establishing this institution, creating and growing connections to bring increased tourism to the area, as well as offering museum visitors unparalleled arts, cultural and educational experiences. Bridges leadership team since 2007, helping oversee the founding of the museum, as well as its construction and successful opening in November 2011. Since that time, the museum has welcomed more than 1.2 million visitors, with Keiser Edwards serving in the pivotal role of deputy director. Keiser Edwards continues to be a guiding force in establishing this institution, creating and growing connections to bring increased tourism to the area, as well as offering museum visitors unparalleled arts, cultural and educational experiences. Previously, Keiser Edwards served as the associate vice chancellor for development at the University of Arkansas, Fayetteville for nine years. She and her late husband, Clay Edwards, helped direct the university’s groundbreaking Campaign for the Twenty-First Century, a significant initiative that raised more than $1 billion for academic programs, including the founding of an honors college and endowing the graduate school. In 2007, Keiser Edwards was made an honorary alumna of the university by the Arkansas Alumni Association. She has also served as director of development (outreach and cooperative extension) and director of station development (public broadcasting) at The Pennsylvania State University, posts she held from 1988 to 1998. She created the first comprehensive advancement program in the field of continuing and distance education at a public university, and was part of the management team that created Penn State’s World Campus, a virtual university for students at a distance from the physical location. As a result of these achievements, the university awarded Keiser Edwards the Outreach Pioneer Award. “Sandy’s contributions to the arts, philanthropy, and higher education, as well as her support of Western Illinois University, are much-admired and appreciated. It is with great pride that we bestow upon Ms. Keiser Edwards an honorary doctorate from her alma mater,” said WIU President Jack Thomas. Keiser Edwards received Western’s Alumni Achievement Award in 1993 and the WIU Distinguished Alumni Award in 2006. She currently serves as a member of the College of Fine Arts and Communication (COFAC) Advisory Board. Keiser Edwards holds a bachelor’s degree from Lenoir-Rhyne College in Hickory, NC, where she served on the board of trustees from 1978-1986. News via artdaily.org re: Sandy Edwards to receive Honorary Doctorate. 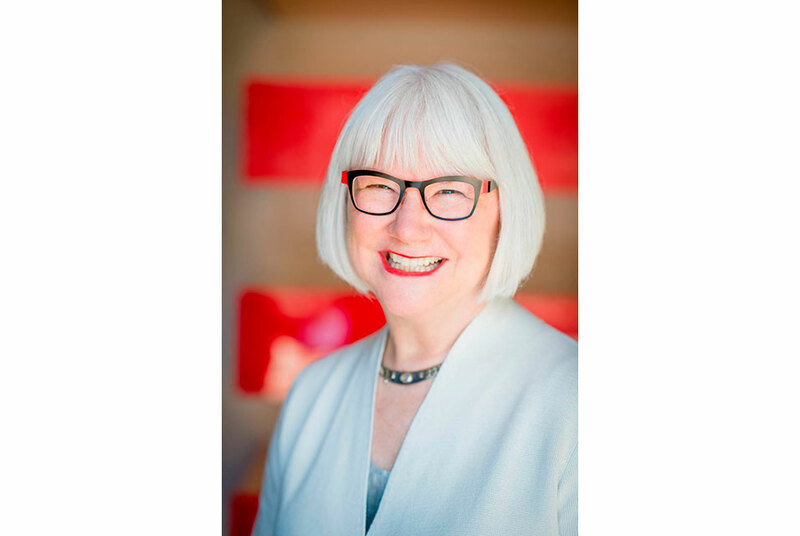 “Sandra Keiser Edwards, deputy director of Crystal Bridges Museum of American Art, will receive the Western Illinois University Honorary Doctorate of Humane Letters at Western’s spring 2014 commencement exercises Saturday, May 10. The Honorary Doctorate is the highest award Western Illinois University can bestow upon an individual who has made significant contributions to his/her career and to Western Illinois University. andra Keiser Edwards, deputy director of Crystal Bridges Museum of American Art, will receive the Western Illinois University Honorary Doctorate of Humane Letters at Western’s spring 2014 commencement exercises Saturday, May 10. The Honorary Doctorate is the highest award Western Illinois University can bestow upon an individual who has made significant contributions to his/her career and to Western Illinois University. Sandra Keiser Edwards, deputy director of Crystal Bridges Museum of American Art, will receive the Western Illinois University Honorary Doctorate of Humane Letters at Western’s spring 2014 commencement exercises Saturday, May 10. The Honorary Doctorate is the highest award Western Illinois University can bestow upon an individual who has made significant contributions to his/her career and to Western Illinois University. BENTONVILLE, ARK.- Crystal Bridges Museum of American Art in Bentonville, Ark., announces new developments in the Museum Relations division: Deputy Director Sandra Keiser Edwards, Museum Relations Department Head, to Receive Honorary Doctorate: Sandra Keiser Edwards, deputy director of Crystal Bridges Museum of American Art, will receive the Western Illinois University Honorary Doctorate of Humane Letters at Western’s spring 2014 commencement exercises Saturday, May 10. The Honorary Doctorate is the highest award Western Illinois University can bestow upon an individual who has made significant contributions to his/her career and to Western Illinois University. Keiser Edwards, a 1974 College Student Personnel master’s degree graduate, has been a key member of the Crystal Bridges leadership team since 2007, helping oversee the founding of the museum, as well as its construction and successful opening in November 2011. Since that time, the museum has welcomed more than 1.2 million visitors, with Keiser Edwards serving in the pivotal role of deputy director. Keiser Edwards continues to be a guiding force in establishing this institution, creating and growing connections to bring increased tourism to the area, as well as offering museum visitors unparalleled arts, cultural and educational experiences. Previously, Keiser Edwards served as the associate vice chancellor for development at the University of Arkansas, Fayetteville for nine years. She and her late husband, Clay Edwards, helped direct the university’s groundbreaking Campaign for the Twenty-First Century, a significant initiative that raised more than $1 billion for academic programs, including the founding of an honors college and endowing the graduate school. In 2007, Keiser Edwards was made an honorary alumna of the university by the Arkansas Alumni Association. She has also served as director of development (outreach and cooperative extension) and director of station development (public broadcasting) at The Pennsylvania State University, posts she held from 1988 to 1998. She created the first comprehensive advancement program in the field of continuing and distance education at a public university, and was part of the management team that created Penn State’s World Campus, a virtual university for students at a distance from the physical location. As a result of these achievements, the university awarded Keiser Edwards the Outreach Pioneer Award. “Sandy’s contributions to the arts, philanthropy, and higher education, as well as her support of Western Illinois University, are much-admired and appreciated. It is with great pride that we bestow upon Ms. Keiser Edwards an honorary doctorate from her alma mater,” said WIU President Jack Thomas. Keiser Edwards received Western’s Alumni Achievement Award in 1993 and the WIU Distinguished Alumni Award in 2006. She currently serves as a member of the College of Fine Arts and Communication (COFAC) Advisory Board. Keiser Edwards holds a bachelor’s degree from Lenoir-Rhyne College in Hickory, NC, where she served on the board of trustees from 1978-1986.